Easily one of the most rewarding projects I’ve ever been involved in. 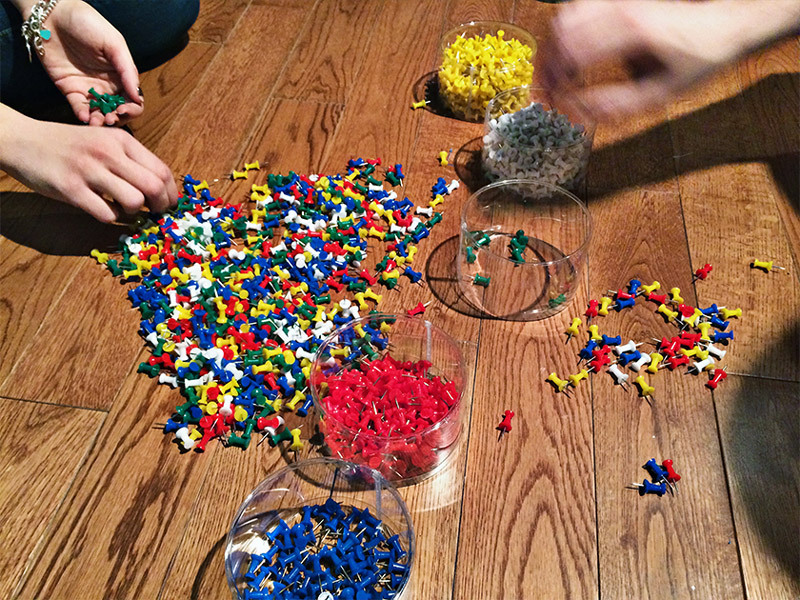 My team and I were able to help the Hospital for Sick Children in Toronto (SickKids) with a very difficult challenge. They needed to find a way to encourage their young cancer patients to complete daily reports on their pain. By tapping into the language of gamification and with a little back-up from Canada’s two top police dramas, our mobile app solution made this overwhelming task something the patients actually looked forward to. Dempster’s needed to find a fun, memorable way to convince time-starved Canadian’s to skip the fast-food line-ups and make more breakfast sandwiches at home. But we knew an ordinary recipe video wasn’t going to cut it. So instead, we created the 2-Minute Morning Quickie. The result was immediate. After being shared on Reddit, YahooNews, Creativity GreatAds and practically every news network, even CBS, ABC and MSN in America. In the end, our little recipe video, with it’s equally modest media budget, was viewed by over a million people and counting. BMW is the automotive sponsor of Air Canada’s luxurious Maple Leaf Lounges. The only problem was, the affluent travelers who frequent the lounges would never have known that. BMW needed to find a way to bring attention to their brand, while at the same time, fortifying their database with all those attractive potential leads. 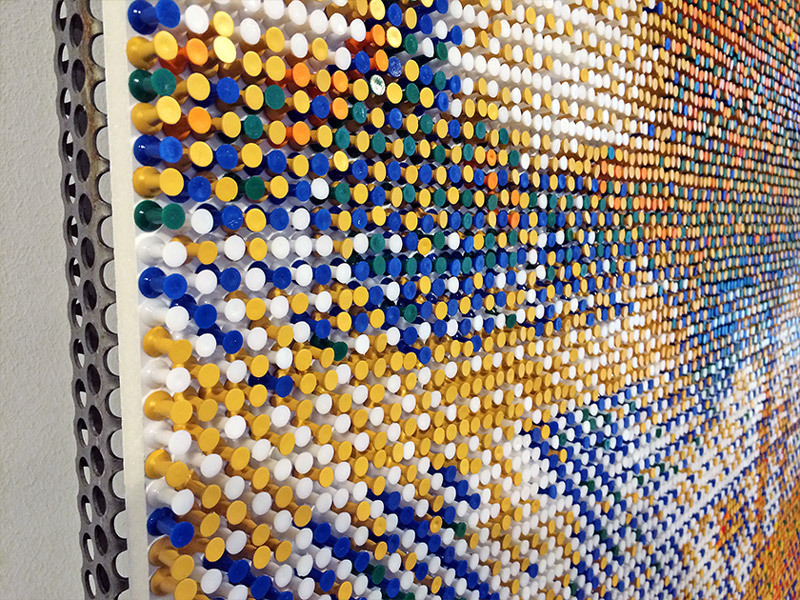 Remarkably, our artistic solution has now grown beyond the lounges and into the art world itself. 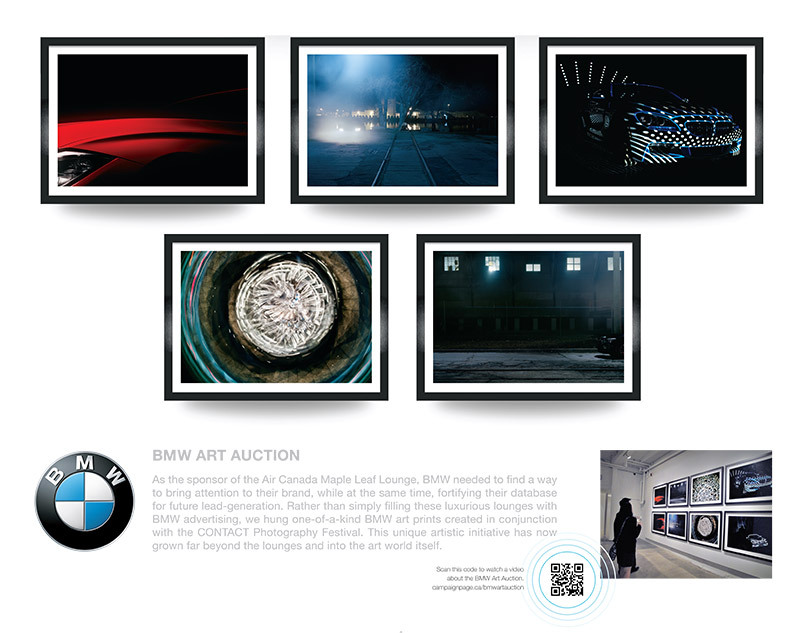 To view the current auction site visit, bmw.ca/art. The Toronto School of Art wanted to convince business people to embrace their artistic side and register for evening or weekend classes. 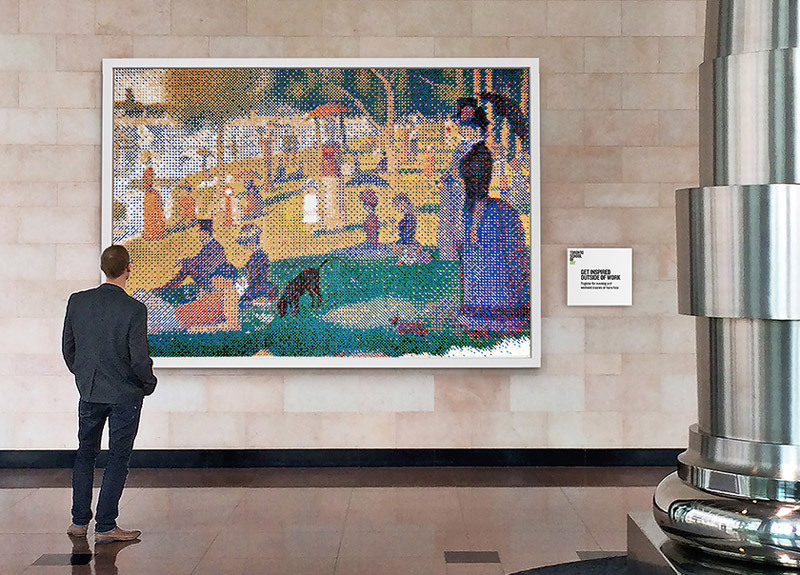 So we took Seurat's masterpiece, A Sunday Afternoon on the Island of La Grande Jatte, and recreated it using something they interact with every day: thumbtacks. 58,000 of them actually. To complete the experience we staged a series of pop-up art classes against this striking backdrop.